Preheat oven to 220°C (425°F). Place the mustard, lemon rind, butter, salt and pepper in a small bowl and mix to combine. Carefully loosen the skin of the chicken at the breast with your fingers. Push the butter mixture under the skin and tie the legs together with kitchen string. Place the chicken on a large oven tray and rub with the oil. Add the potatoes to the tray and cook for 50 minutes or until golden and just cooked through. 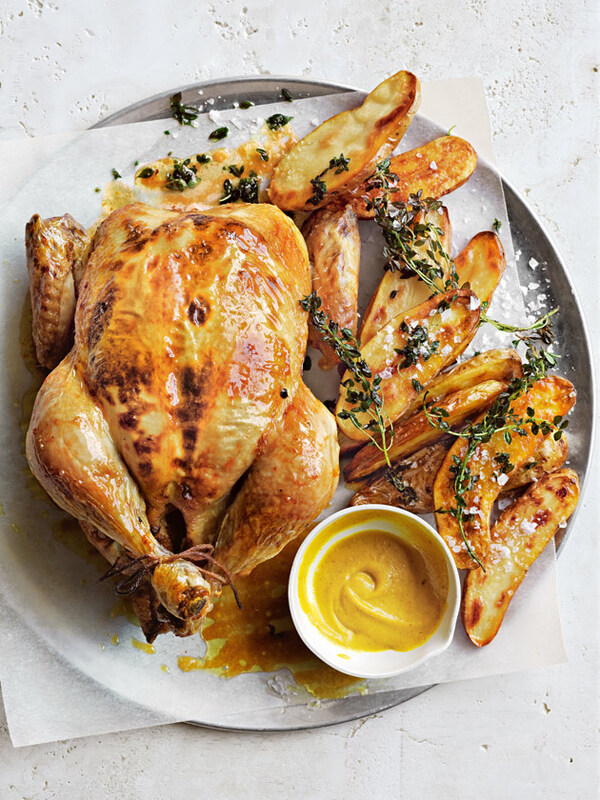 Serve with buttery roast potatoes and a side of green vegetables for the ultimate Sunday dinner.